Have a special message in mind that you want to let your special someone know? 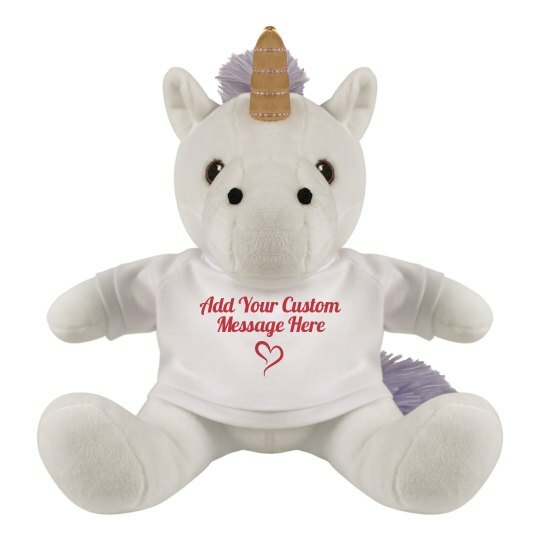 Make it more unique by putting it on this cutomizeable unicorn stuffed toy! Go to our easy to use Design Center and personalize this now!